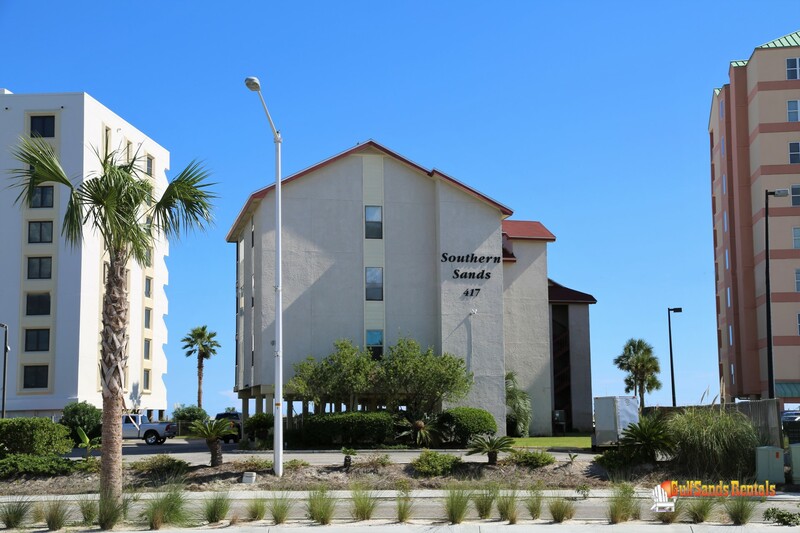 Welcome to Southern Sands 102! 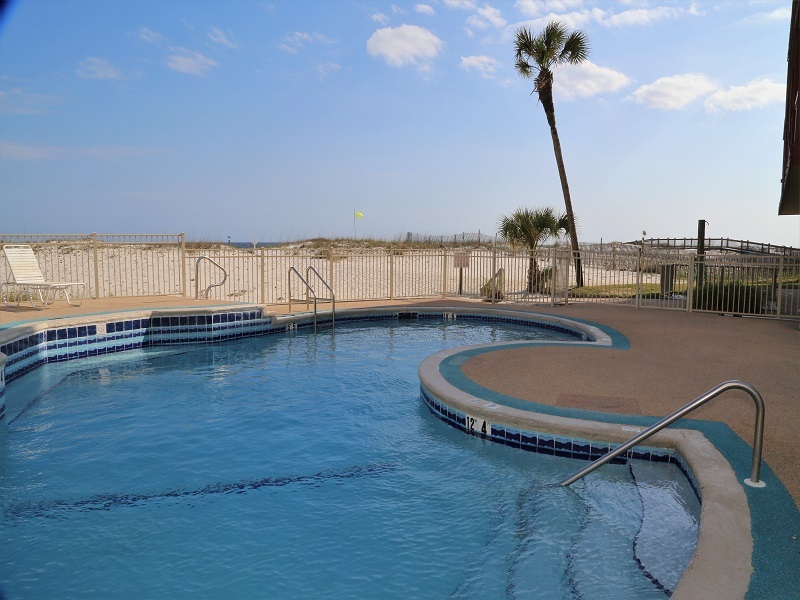 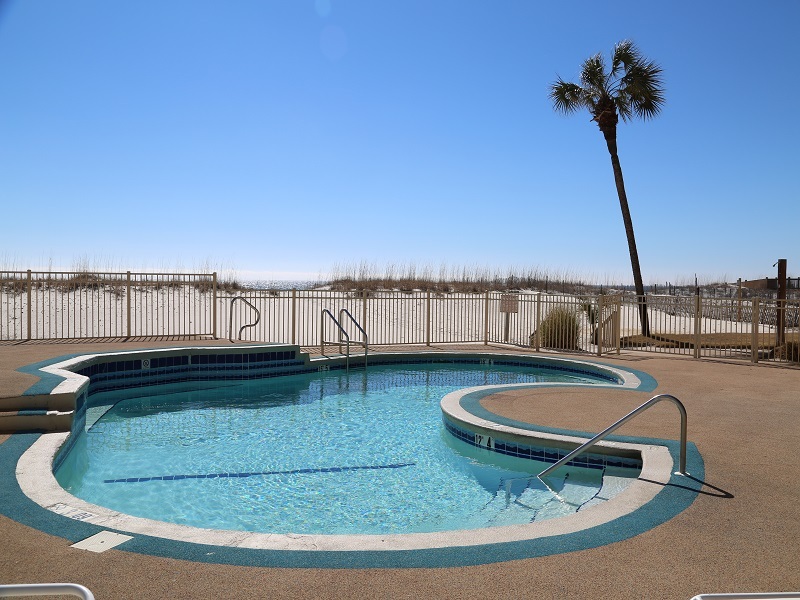 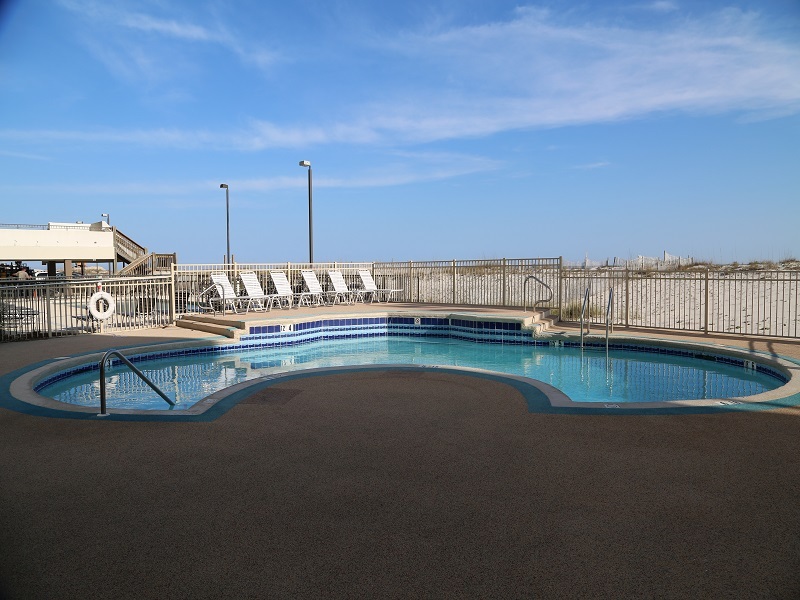 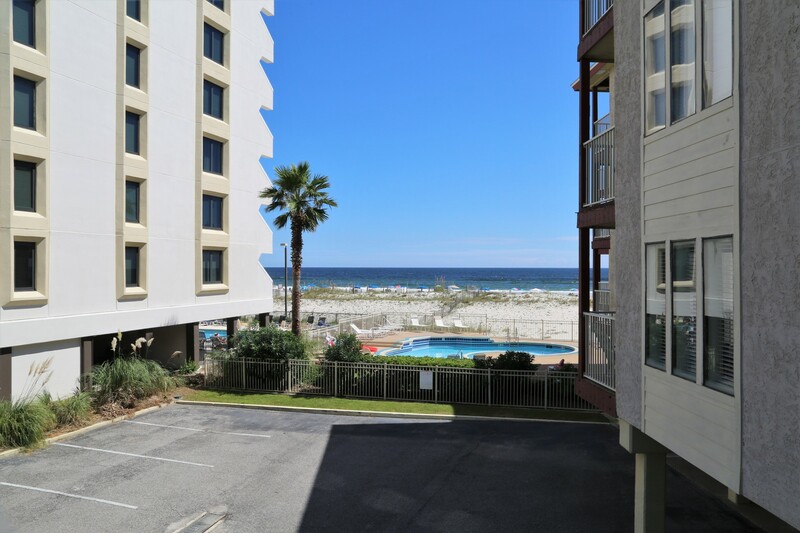 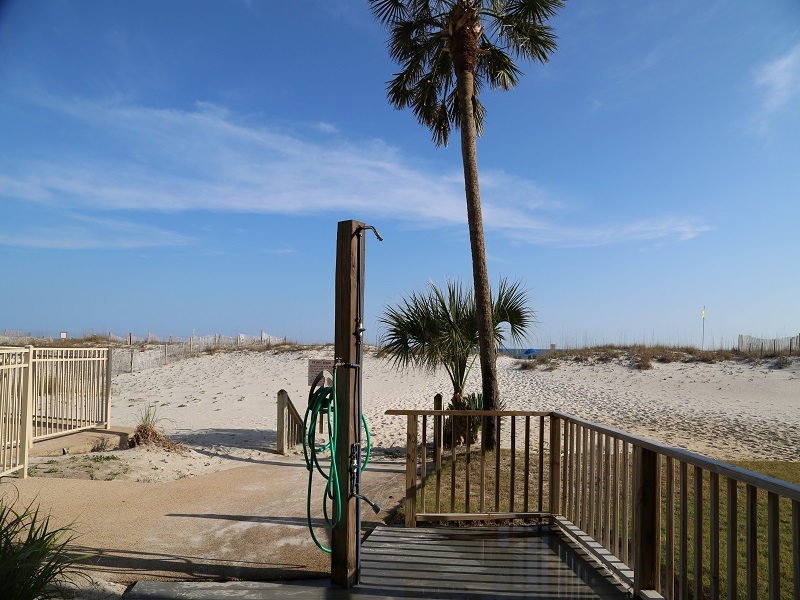 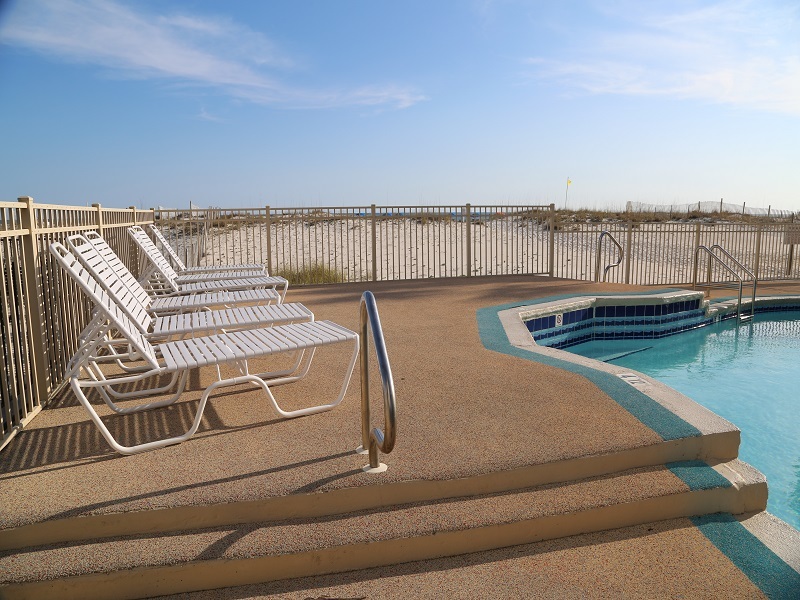 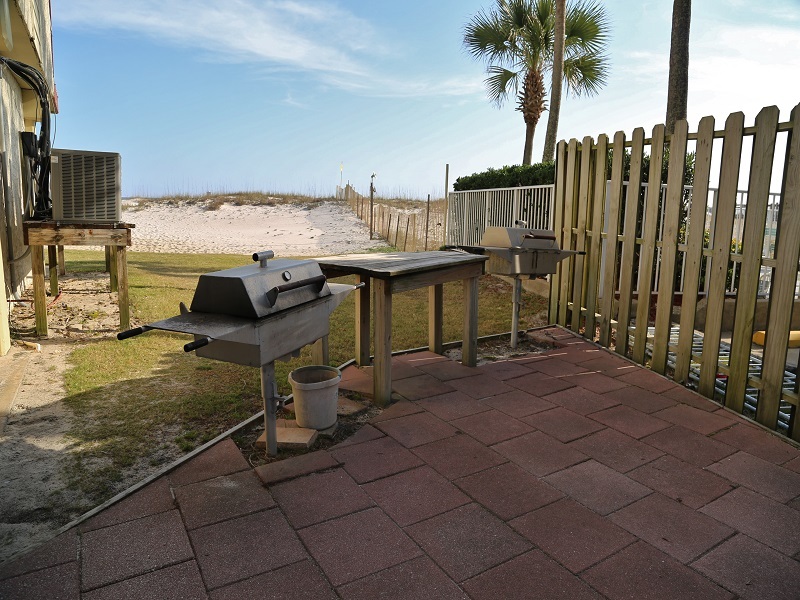 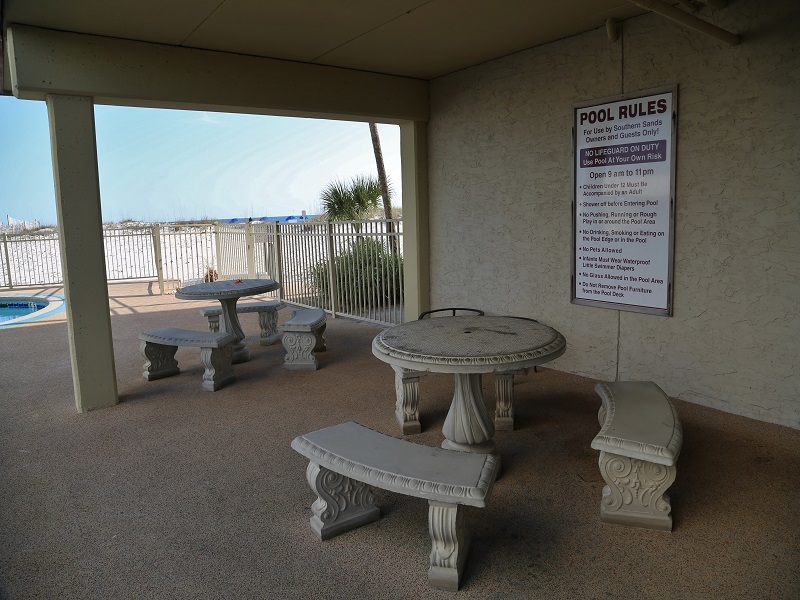 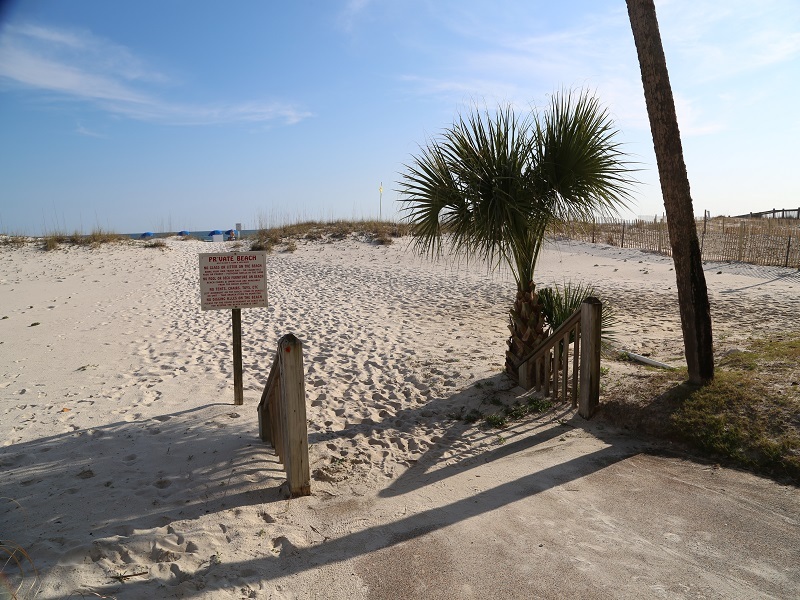 Southern Sands 102 is in a prime location along West Beach in Gulf Shores, AL. 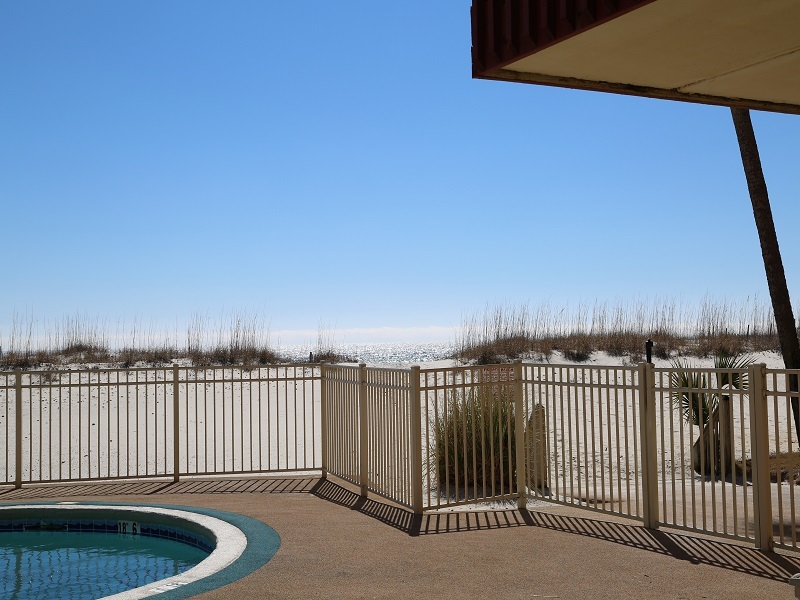 Enjoy the views of the sparkling gulf water, sugar white beach, and family friendly pool deck from your private balcony. 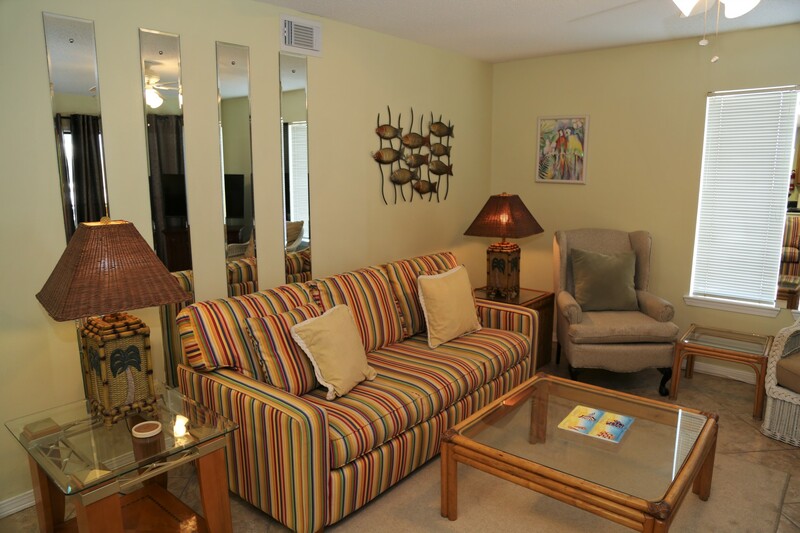 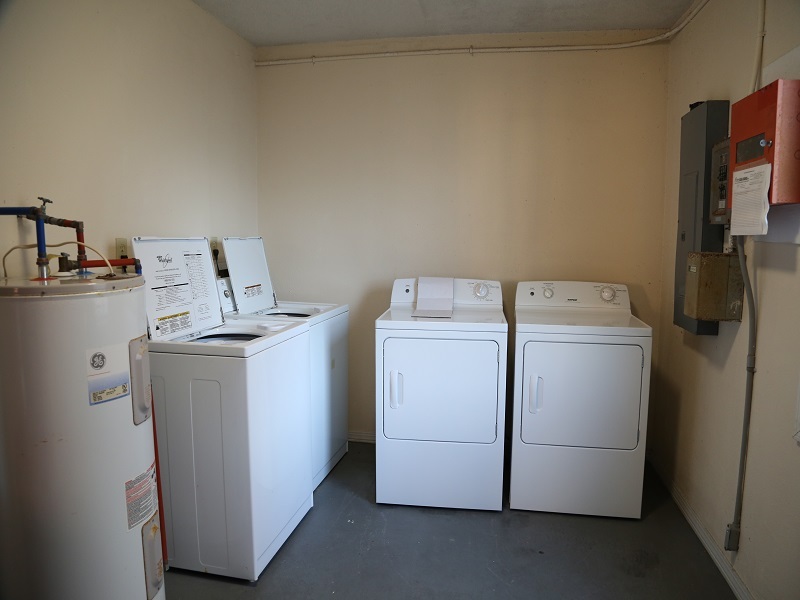 This 2BR/2BA, first floor condo offers all the comforts of home. 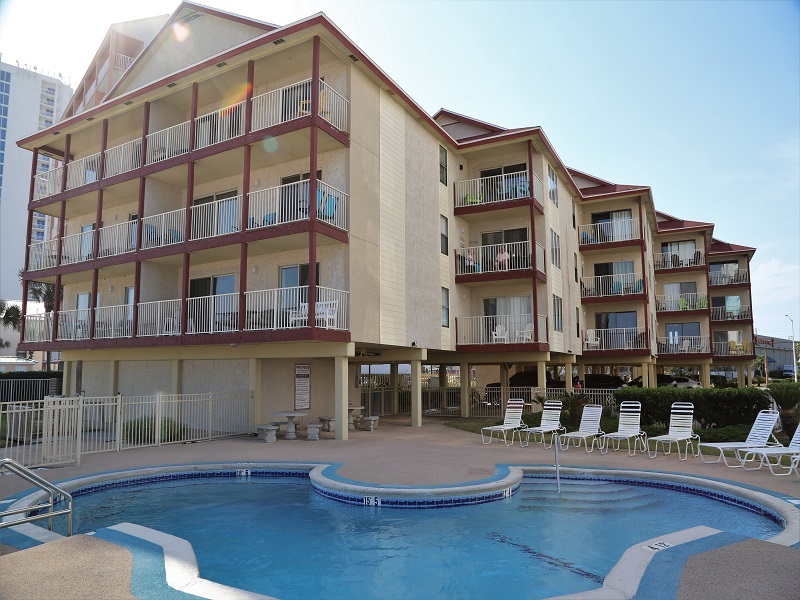 Inside you'll find a spacious, open layout living/dining/kitchen with direct access to the balcony from the living room. 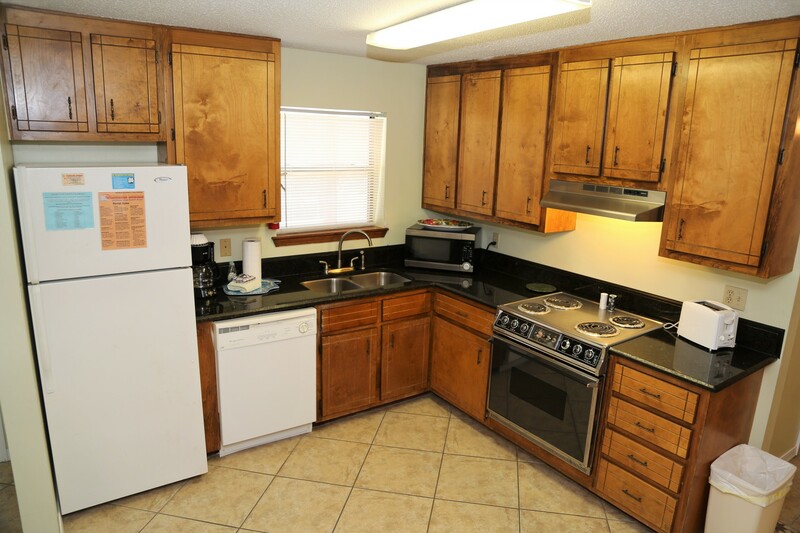 A well-equipped kitchen includes all appliances with newly added flat-top stove, ice maker, and cookware. 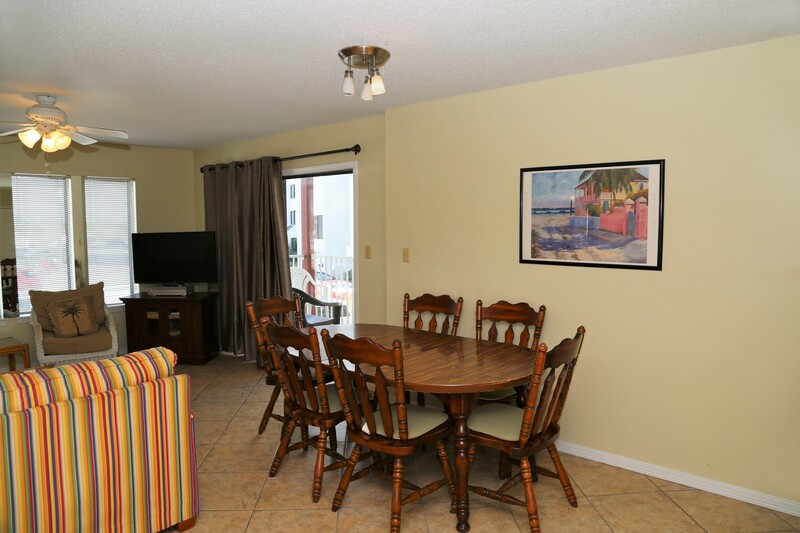 The dining table is adjacent with seating for 6. 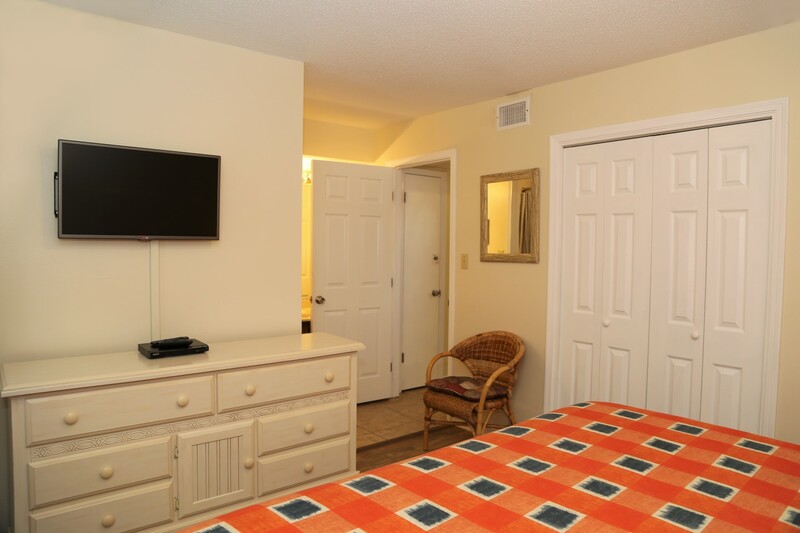 The master bedroom includes a recently upgraded mattress, 32" flat screen TV, and renovated bathroom. 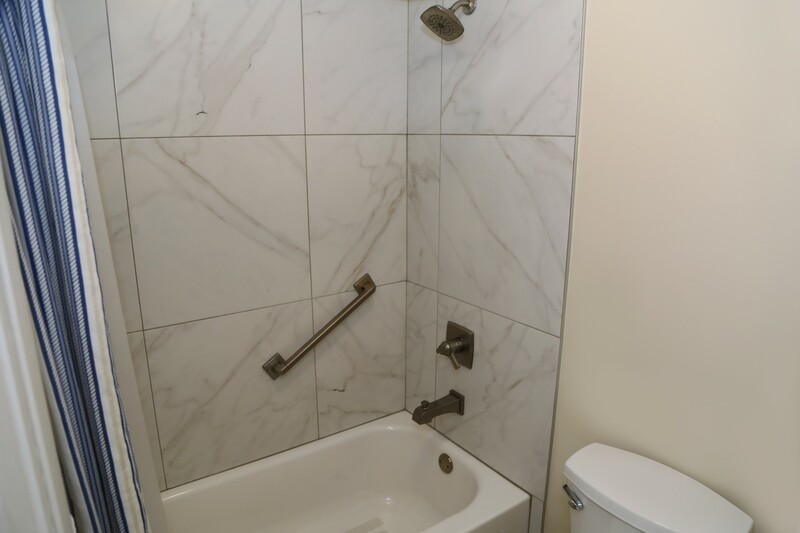 Gorgeous new tub with tiled enclosure and all new hardware. 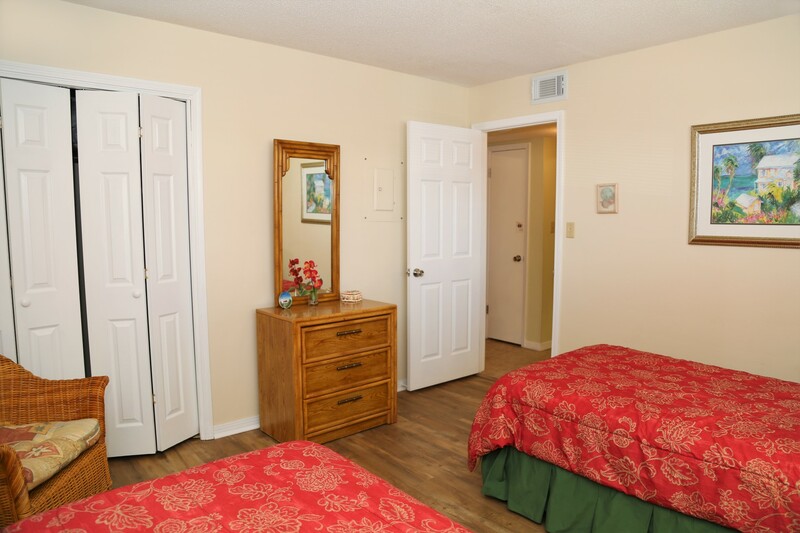 Fresh upgrades and renovations throughout including granite countertops in the kitchen and new flooring in both bedrooms. 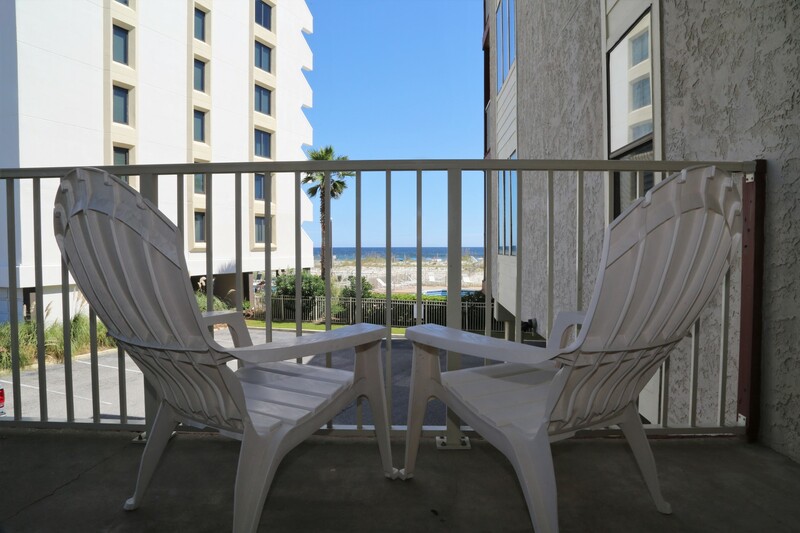 Relax on your balcony while enjoying the sound of the waves and refreshing salt air. 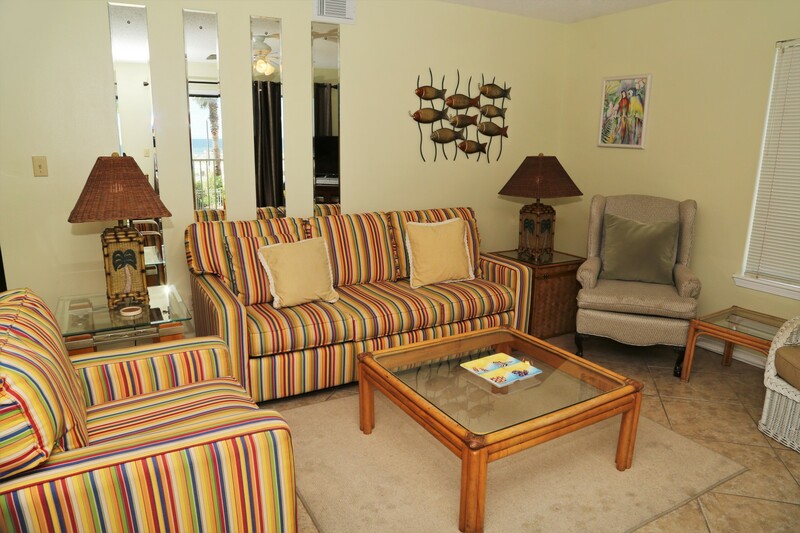 Living area is spacious with plenty of seating. 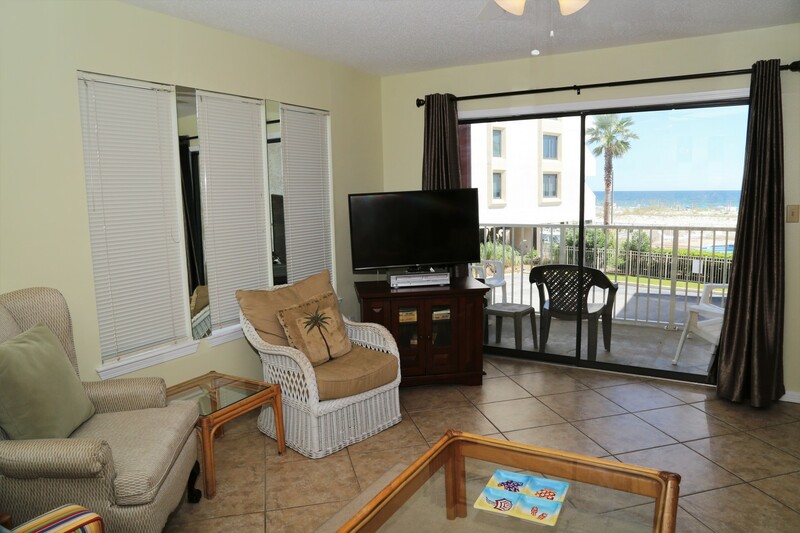 Living room Smart TV and direct access to the private balcony. 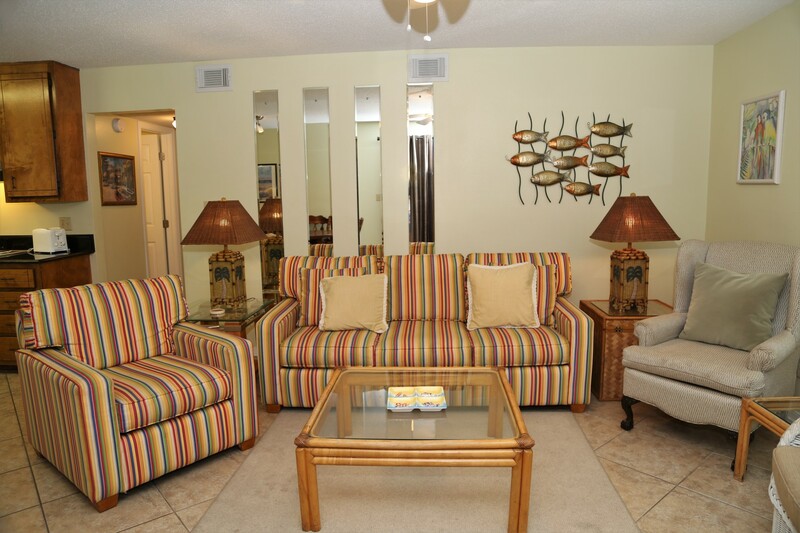 Living room with sleeper sofa and two addtional arm chairs. 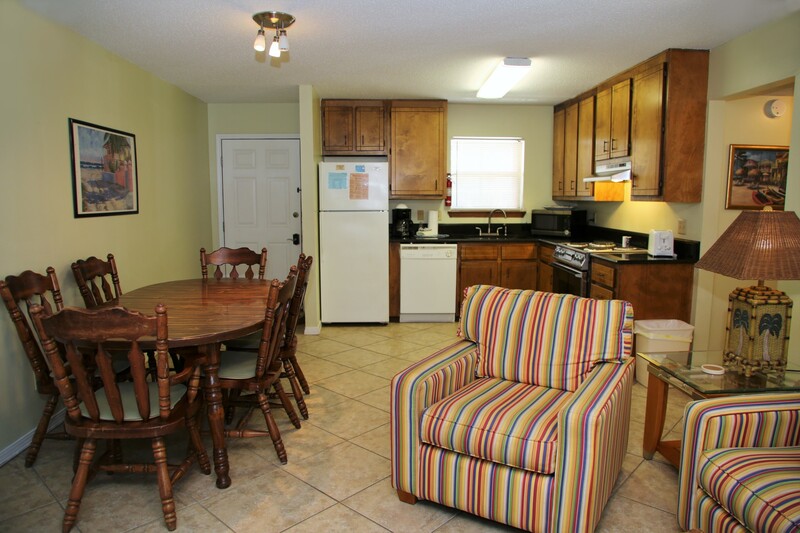 Well-equipped kitchen stocked with everything you may need. 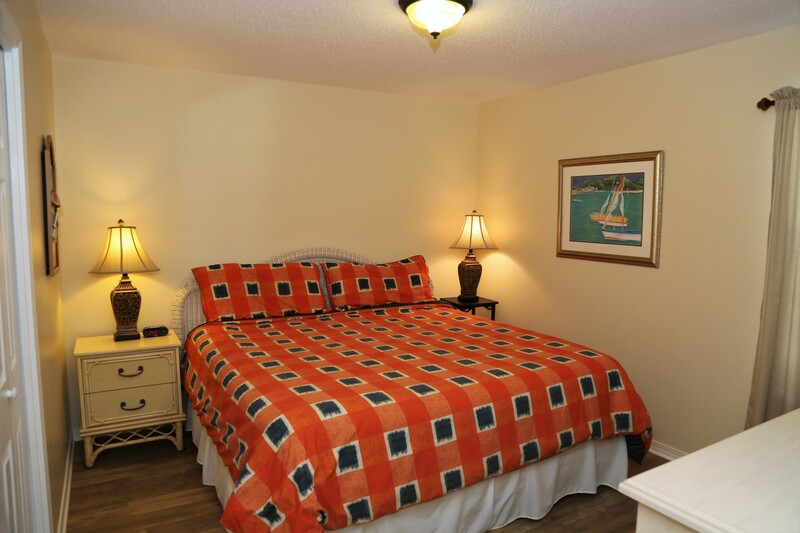 Enjoy spacious a spacious master bedroom. 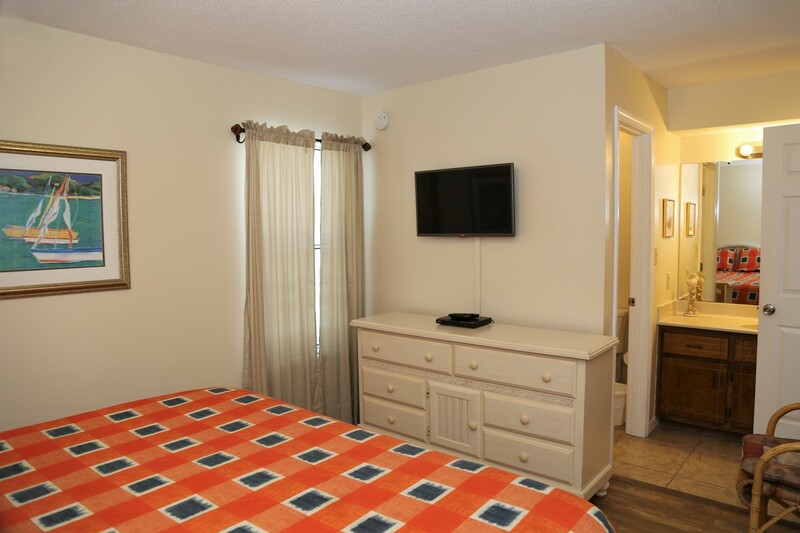 The master bedroom has a 32" flat screen TV. 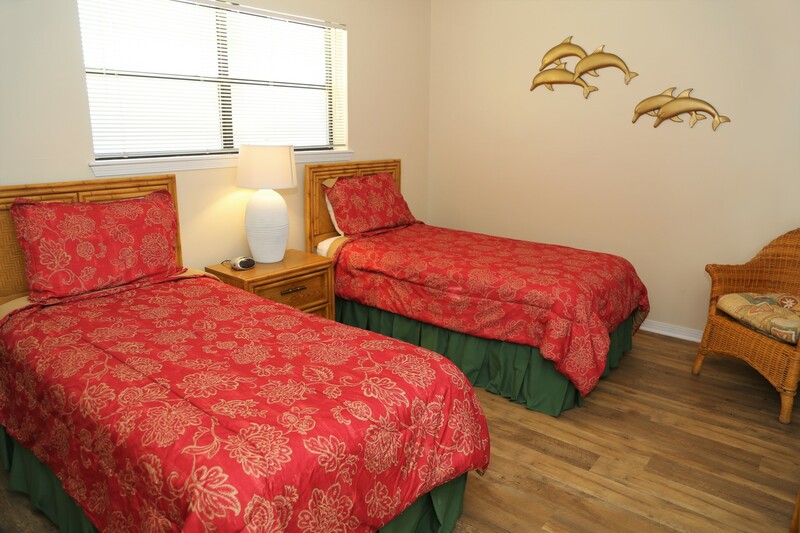 The master bedroom includes a dresser and closet for extra storage. 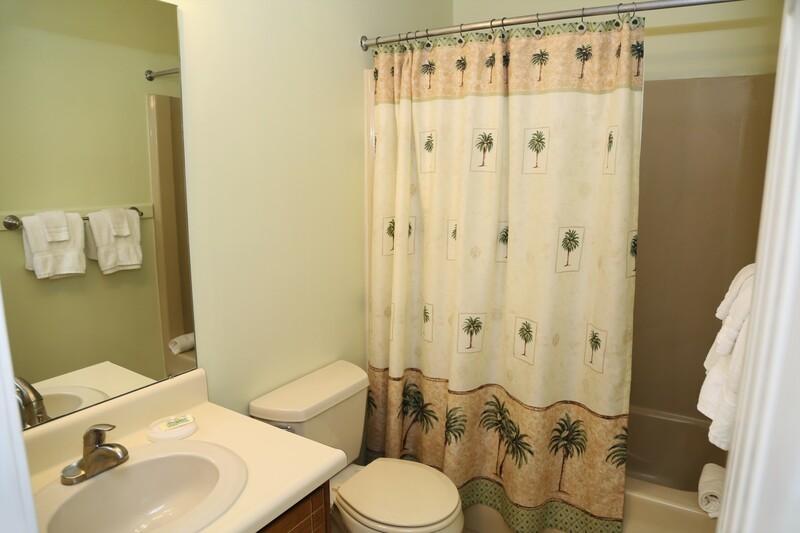 Master bathroom - remodeled shower/tub combo with tiled wall enclosure, all new fixtures, and plumbing. 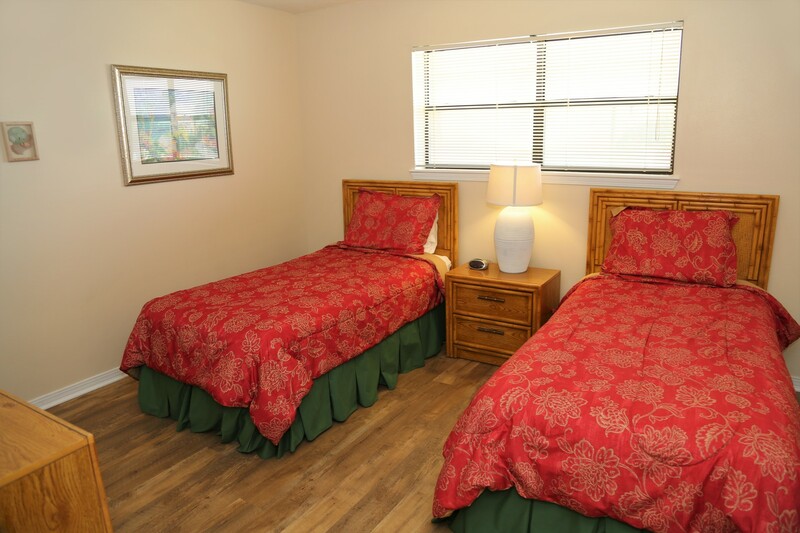 The second bedroom with two twin-sized beds. 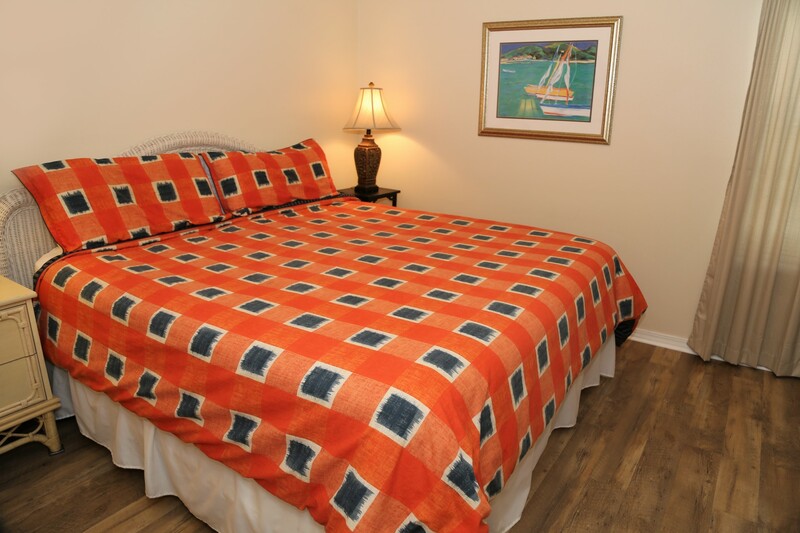 Enjoy new flooring is both bedrooms. 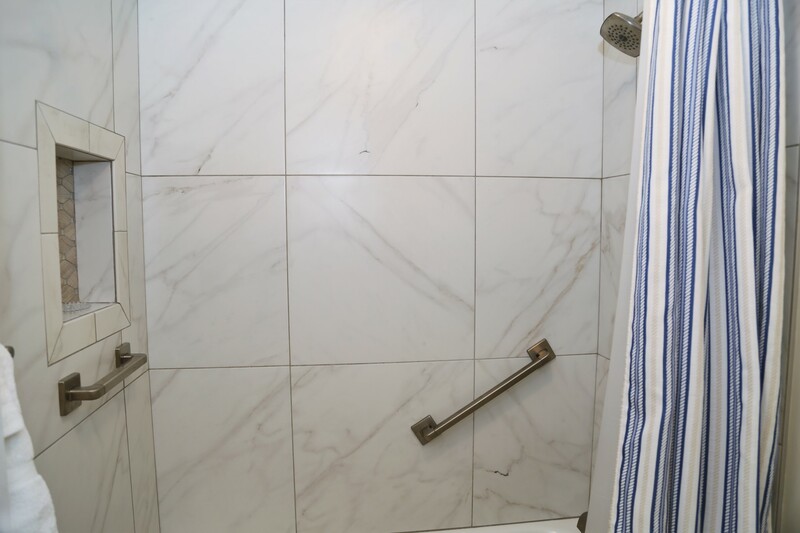 The hall bathroom - shower/tub combo stocked with a startup supply of essentials.